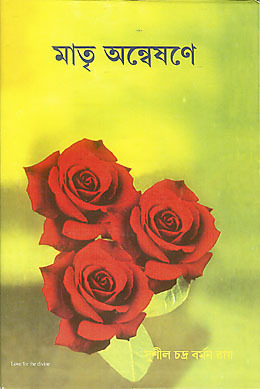 Rishabhchand, 1900-1970, is probably best known for his biography of Sri Aurobindo, first serialised in the Bulletin of Sri Aurobindo International Centre of Education from 1960 to 1971, and published as the book Sri Aurobindo: His Life Unique in 1981. But he wrote two other books that are considered important works on the yoga of Sri Aurobindo and the Mother: In the Mother’s Light (1951) and The Integral Yoga of Sri Aurobindo (1953). 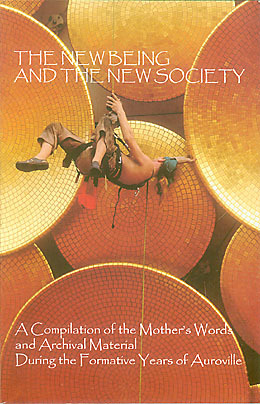 This, then, is the Mother’s work— to awaken in man the supramental Truth-Consciousness and help him grow according to its law….The Mother’s Force is directed to the radical transformation of the whole active nature of man, so that the gulf between his outer consciousness and the divine Consciousness may be bridged and he may manifest the Divine in every movement of his individual and collective life on earth. 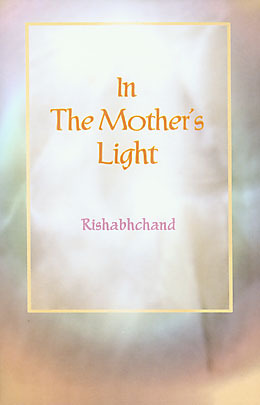 Towards the end of the book “The Rainbow Bridge” begins a series of five essays in which Rishabhchand shows how her prayers bear witness to the essential identity of vision and ideals which had existed between Sri Aurobindo and the Mother even before they met in March 1914. 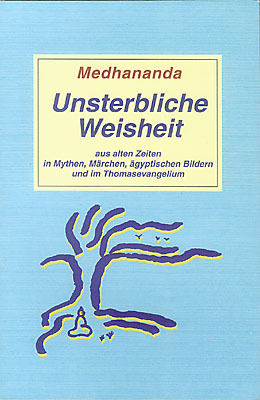 He traces this identity of aim and purpose under four headings: “The Divine Union”, “Physical Transformation”, “Conquest of the Subconscient and the Inconscient”, and “The Divine Manifestation and the Divine Life”. 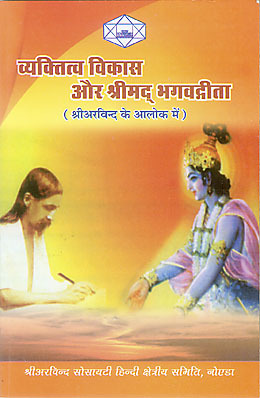 To read an article on Rishabhchand and his biography of Sri Aurobindo, click here. It is the work we will take up when you return—knowing how to learn what to do at each instant, what decision to take, to understand and see in the world of intuition the thing to do. 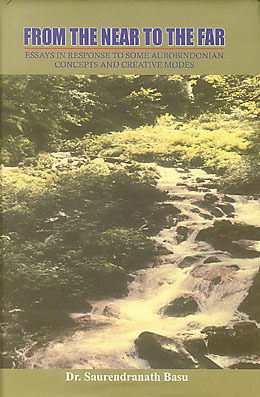 According to the author of the next book introduced below, From the Near to the Far, the essays collected there represent exercises in self-discipline, attempts to understand Sri Aurobindo and the Mother and thus “create in his heart the necessary condition of receptivity to their concepts, ideals and creative modes”. 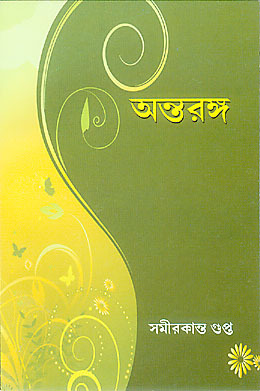 As a professor of English, Dr Basu’s interests naturally lead him to literary topics and most of the essays belong to that realm—studies on Sri Aurobindo’s epic Savitri and his long poem Ilion, comparisons between the poetry of Sri Aurobindo and Tagore, a look at Sri Aurobindo’s appraisal of Shelley’s creative genius, an essay on K. D. Sethna’s role as a crusader of aesthetic principles firmly seated in the spiritual consciousness, and an accolade to Sri’s Aurobindo’s prose work The Mother, calling it “poetry of sheer spiritual illumination”. The power and grace of the Mother’s presence, so wonderfully evoked by Sri Aurobindo’s words in The Mother, are movingly presented in the recently released DVD The Mother: Terrace Darshan. 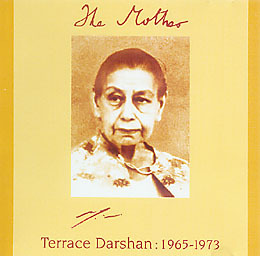 The DVD includes 106 photographs of the Mother taken during her Terrace Darshans from 1965 to 1973, accompanied by the Mother's organ music and several of her readings from Sri Aurobindo's Savitri. The photographs were taken by Sudha Sundaram and sent to the Mother, who selected those prints she approved for distribution. To view them here in progression, year by year, is indeed to be caught in the spell of “her compelling attraction and captivating grace”. The essays and reflections collected in this volume trace the broad outlines of the Mother’s spiritual experiences, primarily through a deep reading and study of her Prayers and Meditations. 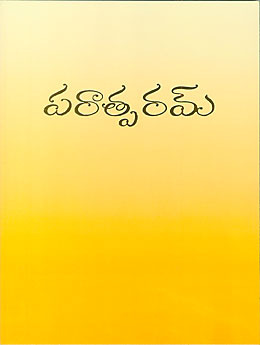 The author writes about her mission on earth to prepare humanity for the fulfilment of its highest aspirations and a complete identification with the Divine consciousness. 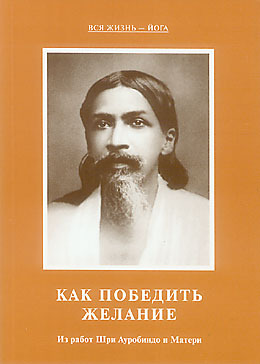 Essays on such subjects as the psychic being, sincerity, service, and yogic action look at some of the basic concepts of the Integral Yoga in the light of the Mother’s words and experiences, and five essays towards the end of the book emphasise the convergence of vision existing between Sri Aurobindo and the Mother even before they first met in 1914. 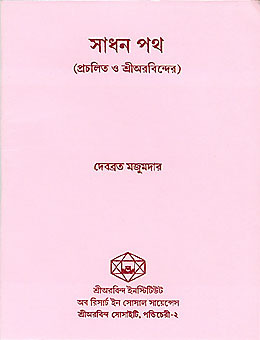 The book was first published in 1951 and revised and enlarged in 1967. During the early years of Auroville, which was founded in 1968, the Mother was engaged in many aspects of the town’s development. The aim of this book is to present a historical view, through the collection and grouping of documents, notes, conversations, messages, and reports, either in the Mother’s words or from disciples who worked closely with her on the project. Among the themes explored are the Mother’s guidelines for work, economic activities to support the township, the organisation of life in Auroville – internal and external –, and the relationship with the local villagers. 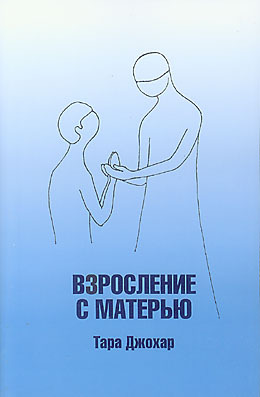 Some archival material is published here for the first time. The essays in this collection deal with a range of subjects, including studies on Sri Aurobindo’s epic Savitri and his long poem Ilion, and related literary themes, mostly concerned with poetry. 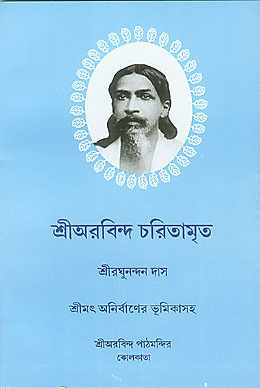 Several comparative essays are devoted to the poetry of Sri Aurobindo and Rabindranath Tagore; others touch upon the spiritual vision of Tagore, Vivekananda, and Sri Aurobindo. 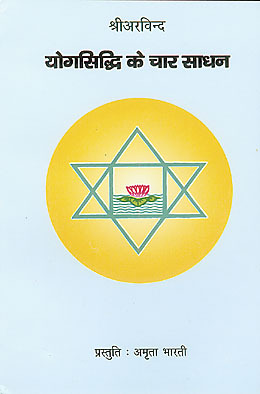 A few essays are concerned with Sri Aurobindo’s philosophy of aesthetics as well as the integration of education and spirituality as fundamental to the evolution of consciousness. 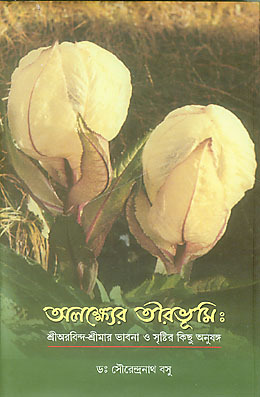 This DVD presentation includes 106 photographs of the Mother taken during her Terrace Darshans from 1965 to 1973, accompanied by the Mother's organ music and several of her readings from Sri Aurobindo's Savitri. When the Mother gave Darshan from the terrace on the second floor, photographs were taken from a vantage point atop a building just across the road. Prints were made from the entire set of negatives and sent to the Mother, who then chose the photographs she approved for distribution.